The Morse PALLET RECYCLER reciprocating saw blade is specifically designed for pallet dismantling. 3/4" (20mm) width by .035" (0.90mm) thickness providing greater flexibility to get between boards. Round nose design helps prevent the blade from catching between boards. Straight tooth pitch for smooth cutting action. 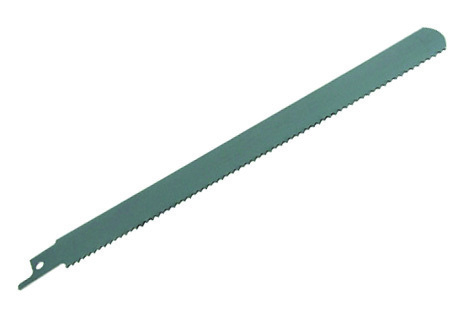 Narrow kerf for fast cutting and less damage to boards that can be re-used.